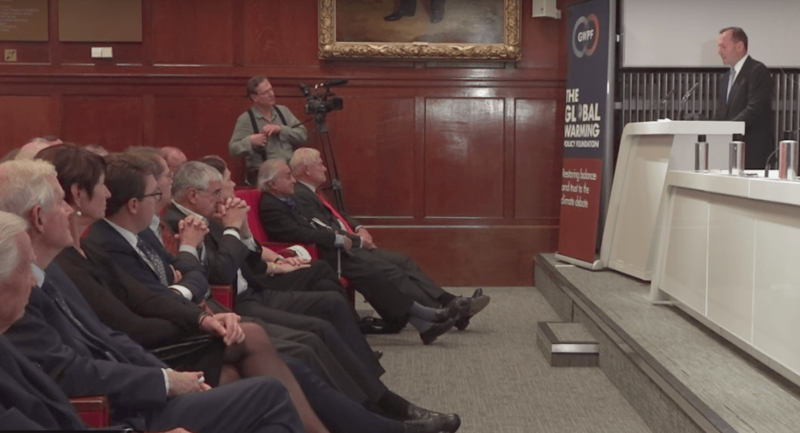 Former Australian Prime Minister Tony Abbott recently gave a speech at a climate “skeptic” conference hosted by the UK Global Warming Policy Foundation (led by Nigel Lawson who recently made incorrect claims about temperature evolution in a BBC interview). 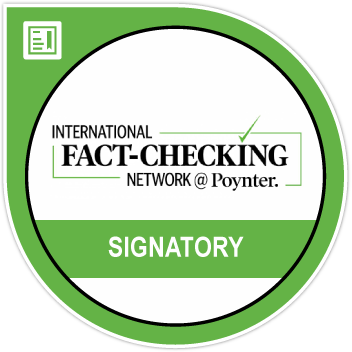 Abbott’s speech included claims about several aspects of climate science—claims that, according to scientists, were not accurate. Professor Steve Sherwood, deputy director of the University of New South Wales Climate Change Research Centre described the speech as “the usual mix of misdirection, falsehoods and tirades against ‘brigades’ who supposedly say this and that but are never clearly identified”. In his speech, Abbott repeated common climate change contrarian talking points that are either incorrect, fallacious, unsupported, misleading, or cherry-picked. Read below for detailed reactions from scientists. Just as a house cannot be solidly built on a foundation of sand, whatever policy Abbott advocates for falls down since it relies on false premises. Below is a list of quotes from Tony Abbott’s speech with scientists’ responses. This claim is incorrect for current climate change, as explained here. What is correct is that oscillations in the Earth’s orbit have played a major role in past climate changes, but these oscillations play out on much longer timescales (thousands of years) and cannot explain the observed increase in temperature over the past century. The suggestion that the rising concentration of atmospheric CO2 is boosting crop yields is misleading. While plants do utilize CO2 for growth, the concentration of this gas is not the only constraint on their growth—and the climate change caused by additional CO2 has its own consequences for agriculture. Whilst it is true there is evidence of “greening” from satellite derived estimates, the argument that CO2 will make everything OK (“a plant food after all”) is simplistic. For example, Hochman et al* highlighted that grain yields have stalled in many developed countries. They attributed the stall (since 1990) in Australian wheat yield to the effect of climate (reduced precipitation and increased temperatures). The inferred positive effect of CO2 on yields was small (preventing a further 4% loss relative to 1990 yields) and was by far outweighed by the effect of technology advances. In general, CO2 has had a positive effect on crop growth, but it’s impossible to separate historical effects from the greater effects of genetics and nitrogen and other inputs. However, it’s generally considered to be a fraction of those. We know better future effects because we have CO2 fertilization experiments in the field comparing present to future CO2 levels. Those experiments suggest that corn may have about a 1% gain [because of increased CO2] and soybeans 3-4 times that. 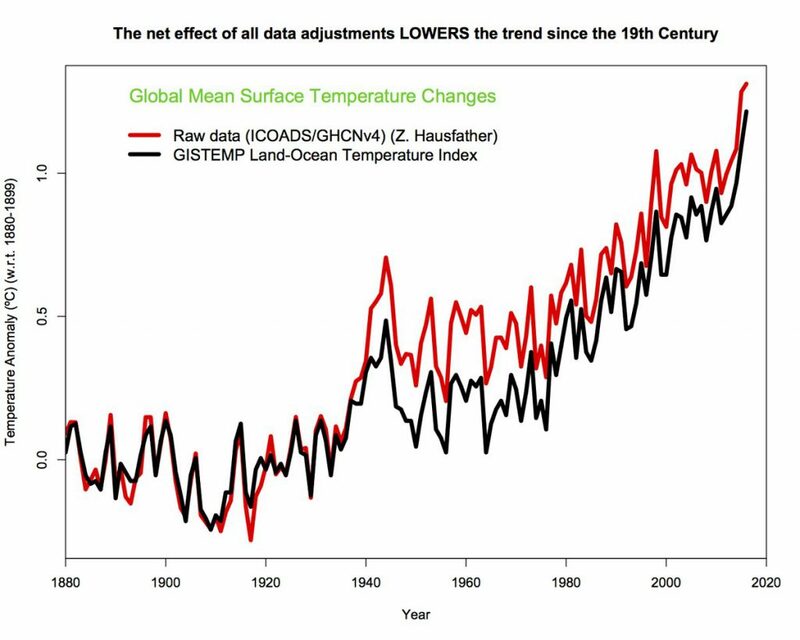 However, these gains will almost certainly be offset by yield declines associated with the temperature increases caused by elevated CO2, which are well known. Historically, it’s worth noting that we had elevated CO2 long before we had the green revolution, and crop yields didn’t increase much until the green revolution. You can see this in graphs of average US corn yields from 1900. Carbon dioxide is a gas that is naturally present in the atmosphere. Plants grow by taking up CO2 from the atmosphere through the process of photosynthesis. Terrestrial ecosystems have taken up about 20-30% of fossil-fuel emissions since the 1960s. Through this so-called “CO2-fertilization”, plants help reduce the growth of atmospheric CO2 responsible for climate change, and this might be what William Happer refers to when talking about greening. A global “greening”, (i.e., longer growing seasons) of the Earth has also been detected in satellite observations of leaf area index from the 1980s to the present day, and modelling experiments have attributed 70% of this greening to CO2 fertilization. However, plants grow better with more CO2 only if they also have access to nutrients like nitrogen and phosphorus to fix the photosynthesised carbon. For example, results from Free-Air CO2 Enrichment (FACE) experiments have shown that the initial enhancement of plant productivity under CO2-fertilization was declining through time. This enhancement could, however, be restored and maintained through an additional nitrogen treatment. Results from another FACE experiment in Australia have recently shown that, under current phosphorus limitations, no additional growth was recorded under increased CO2. These results from FACE experiments raise uncertainty on the sustainability of the CO2-fertilization effect in mostly nitrogen-limited temperate and boreal forests and mostly phosphorus-limited tropical ecosystems. Accordingly, adding nitrogen and phosphorus limitations on plant growth in Earth system models reduces the projected capacity of the land surface to continue offsetting fossil-fuel emissions during the 21st century. It is true that mortality is higher during winter than summer. However, it does not follow that winter mortality is temperature-dependent (which summer mortality is). Dave Mills and I reviewed the evidence and concluded that only a small proportion of winter mortality is likely associated with temperature. A growing numbers of publications are exploring associations between weather and winter mortality, with differences in methods and results. The country with the strongest association between winter mortality and temperature is England, which appears in other publications to be at least partly due to cold housing. Winter mortality is lower in northern European countries. A recent paper by Kinney et al. (Winter season mortality: will climate warming bring benefits?) suggests that reductions in cold-related mortality under warming climate may be much smaller than some have assumed. Kinney and colleagues analyzed excess winter mortality across multiple cities and over multiple years within individual cities. They found that excess winter mortality was no lower in warmer vs. colder cities, suggesting that temperature is not a key driver of winter excess mortality. In addition, variability in daily mortality within cities was not strongly influenced by winter temperature. It is true that in rich countries which tend to be in the mid to higher latitudes, some warming might help reduce deaths from cold. In the lower latitude countries – the subtropics and tropics – people rarely die of cold. In contrast they die of heat and lack of clean water. So, countries responsible for global warming might gain a minor benefit from warming while those least responsible will wear the consequences. In 2003, 70,000 people died in western Europe, and in 2010 a further 55,000 people died in Russia and eastern Europe. These figures far exceed deaths from cold snaps. The decade 2001-2010 saw a 2,300% increase in heat deaths above the previous decade. Mr. Abbott’s assertions don’t tell the whole story, as they’re based on what has happened in the past rather than what is projected to happen in future. While more people die from cold than heat in Melbourne at the moment, this will reverse as more summer days reach the high 40s. 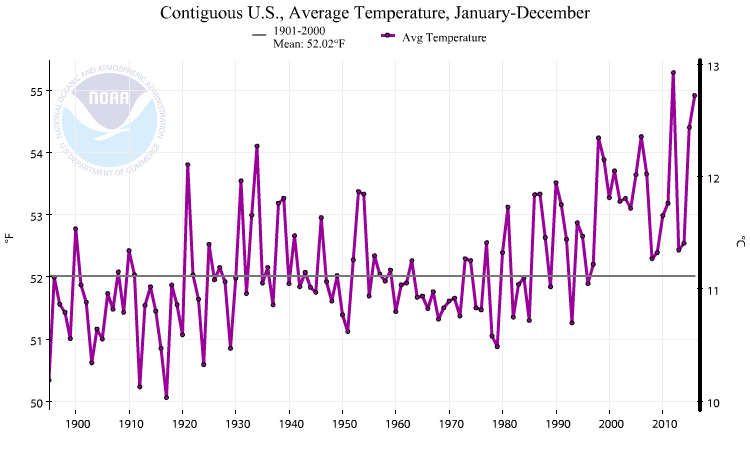 This is a misleading and inaccurate “cherry pick”, as the United States has seen a clear warming trend over the last century. Read the full Claim Review here. This [claim] is misleading. The fact that climate changed in the past due to cause “A” does not mean it can only change through cause “A”. 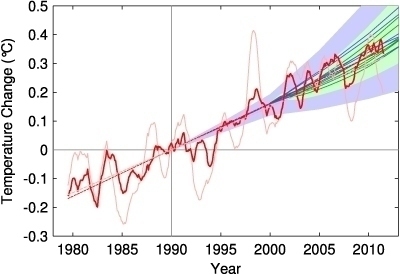 The fact is that it is changing now due to increasing CO2 on very rapid time scales. When climate changed in the past more slowly, it still caused mass extinctions. Not a happy thought! This claim is misleading, given Australia’s large natural variability in these extremes. 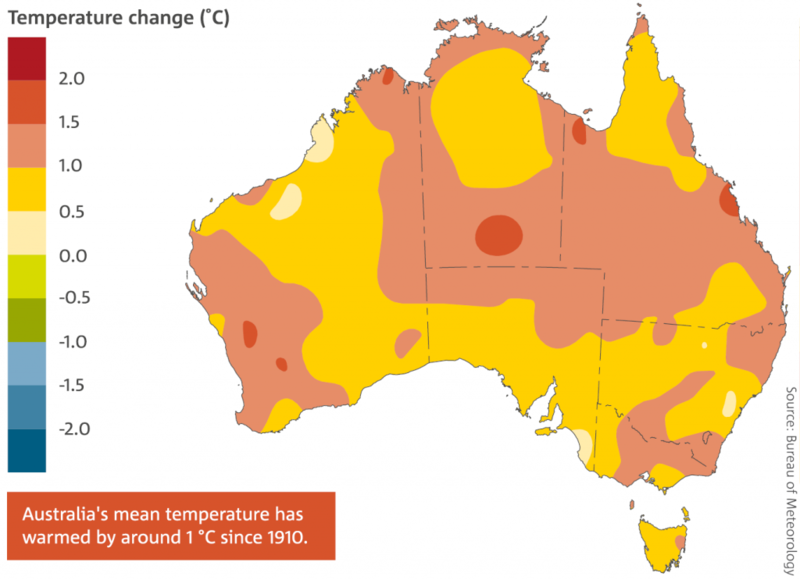 Global trends are clearer, and many extremes are projected to increase in Australia with future warming. [Abbott] clearly leaves out the global context. At the global scale, we have observed an increase in heatwave/warm spell intensity, frequency and duration (e.g. Perkins et al* and many other follow-ups). Likewise, more global stations (two-thirds) recorded an increase in heavy rainfall intensity rather than a decrease (one-third)—a mismatch within tens of thousands of stations that cannot be explained by chance. Given the major variability, we would not expect to see significant regional changes in extremes everywhere over the comparatively short observational period. Cherry-picking the few areas like the US midwest where the warmest temperatures date back from the highly exceptional 1930s does not change the fact that the vast majority of the global land surface has seen a strong increase in heatwaves.